The Inzane simulator is a state of the art full motion 3DOF single seater race simulator. It is the ideal training tool for any racing driver to hone their skills in a cost-effective way and add to their level of preparation for that all-important race season. It is also the perfect tool to enhance your brand experience at your next corporate event! This simulator is as close as possible a mimic of the real racing car and is made with mostly genuine race car parts. It consists of a real carbon fibre monocoque and comes with a Sparco quick release steering wheel adaptor. Currently equipped with a genuine FBMW and GP2/F1 style steering wheel, this simulator also has a sequential gear shifter for junior single seater series such as FBMW, F3, Formula Masters and Formula Renault. It is fitted with the original FBMW headrest and FBMW rescue seat, which allows for a real race seat to be inserted. The interior of this simulator is exactly the same to a real racing car. 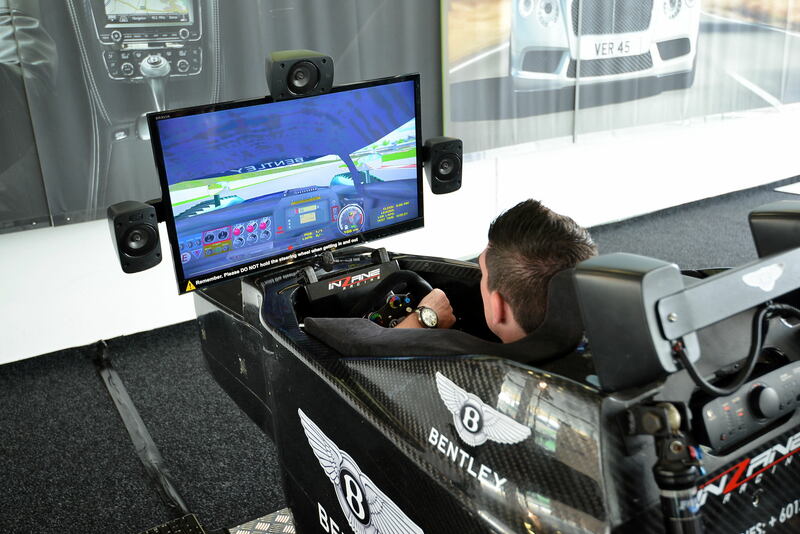 This simulator also comes with a genuine set of Sparco seat belts that tightens under braking. In addition to the 3DOF motion platform, the exclusive physics based tactile feedback and the 3D HTX surround sound system will ensure a full emersion and realistic experience. We have a huge inventory of quality laser-scanned tracks and cars from FBMW, F3, GP2, LMP2 all the way up to F1 for the Inzane simulator. With a very strong-force feedback steering wheel and a real hydraulic brake pedal with forces up to 100kg, training with this simulator also helps to strengthen arm and leg muscles, which improves the overall fitness level as well as stimulate muscle memory. For enquiries contact us today!